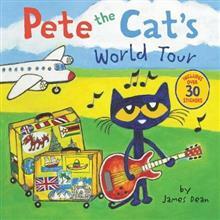 Don't forget your passport...it's Pete the Cat's groovy tour around the world! This great 8x8 storybook includes over 30 stickers. 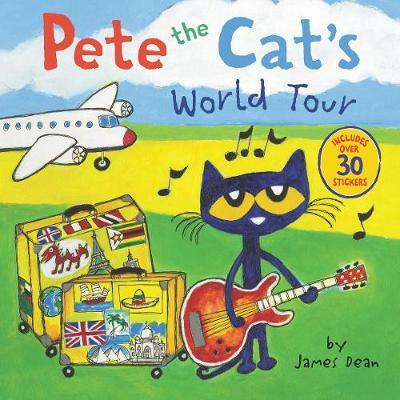 In Pete the Cat's World Tour, from New York Times bestselling author and illustrator James Dean, Pete the Cat and his band have packed up their bags and are ready to perform all over the globe. But what's the fun in globe-trotting if you don't go out exploring? From Mexico to Iceland, Pete and his friends get a taste of what each country has to offer. Young Pete fans will enjoy the story and the stickers!